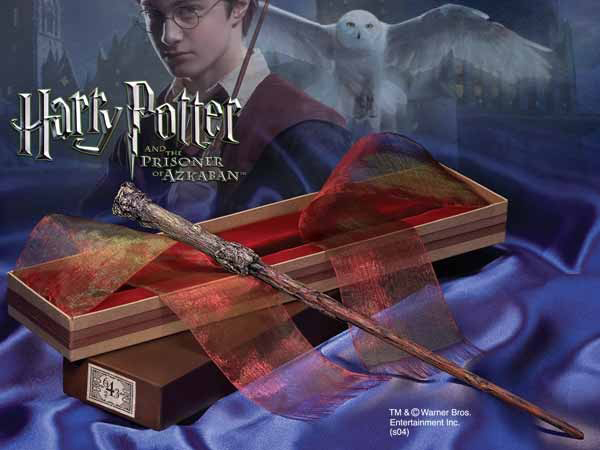 An authentic recreation of the famous wizard´s wand featured in the movie Harry Potter and the Prisoner of Azkaban. Comes complete with a replica of the original Ollivanders wand box, featured in the film Harry Potter and the Sorcerer´s Stone. Measures 14 inches in length.